In three articles we are discussing using Toad for Oracle with Oracle Database Exadata Express Cloud Service. 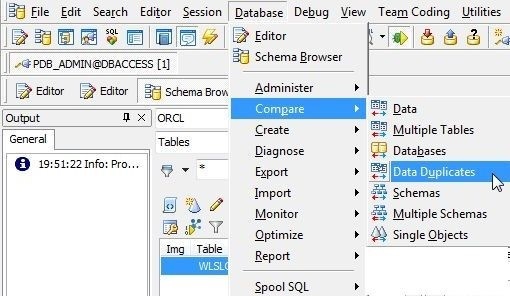 In the first article we created an Oracle Database Exadata Express Cloud Service instance and in the second article we discussed connecting to the database with Toad for Oracle to create and compare tables. In this third article we shall discuss some of the features of Toad for Oracle. This article has the following sections. - To find out whether the same data value such as same primary key value has been added to multiple rows in error. - To find groupings in data, if any. - To verify whether data that is supposed to be the same, is the same. To find data duplicates select Database>Compare>Data Duplicates as shown in Figure 1. 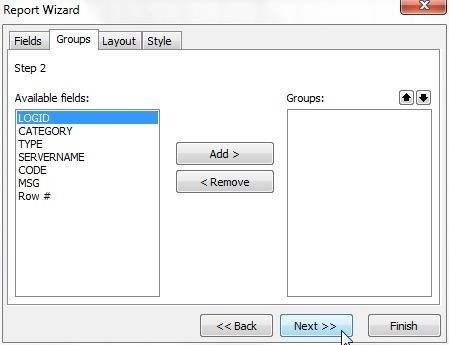 The Data Duplicates wizard gets started, as shown in Figure 2. The Table Selection tab is selected by default. Select from the two options Find duplicates in all columns and Find duplicates in selected columns. Find duplicates in selected columns is shown selected in Figure 2. 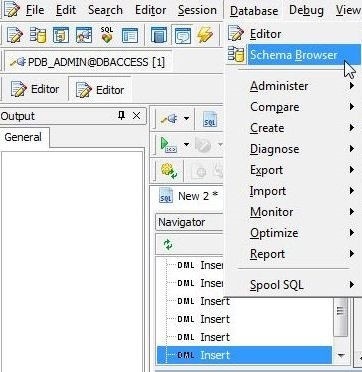 Select schema as PDB_ADMIN. Select Object Types as Tables. Next, select the objects, which would be tables in this case because Object Types is set to Tables. Select the WLSLOG table as shown in Figure 3. Select the columns in which to look for duplicates as shown in Figure 4. Multiple columns are selected with Shift+column. 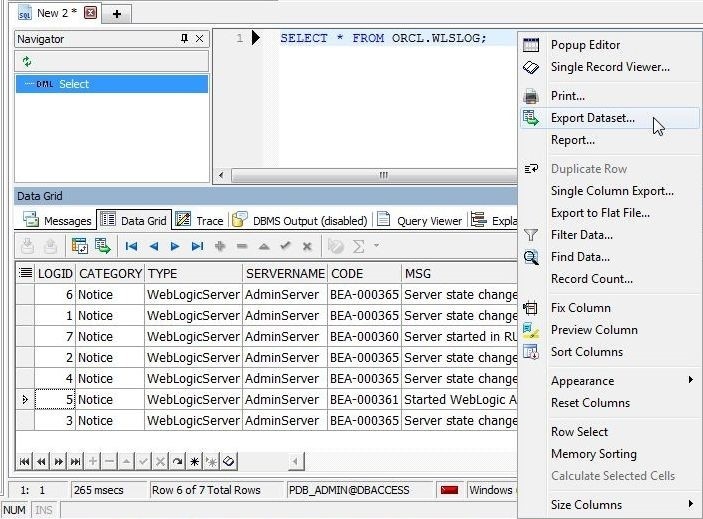 Select the Duplicate Data (Editable) tab to display the duplicate data, as shown in Figure 5. Select the Duplicate Data (Summary) tab to display the summary as shown in Figure 6. The Schema Browser is used to browse database data and other database objects. Select Database>Schema Browser to start a Schema Browser, as shown in Figure 7. The Schema Browser gets started, as shown in Figure 8. Select a Schema; the PDB_ADMIN schema is shown selected in Figure 8. Select the object type; Tables is shown selected. 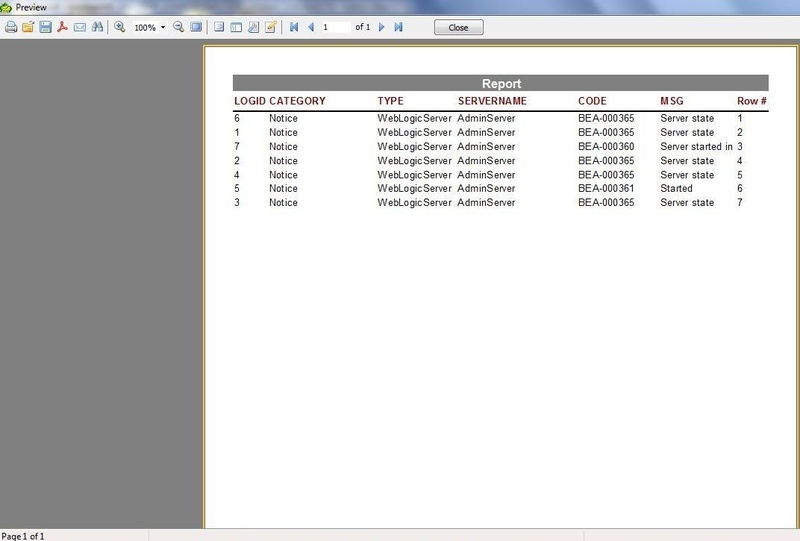 Select a table; WLSLOG table is shown selected. 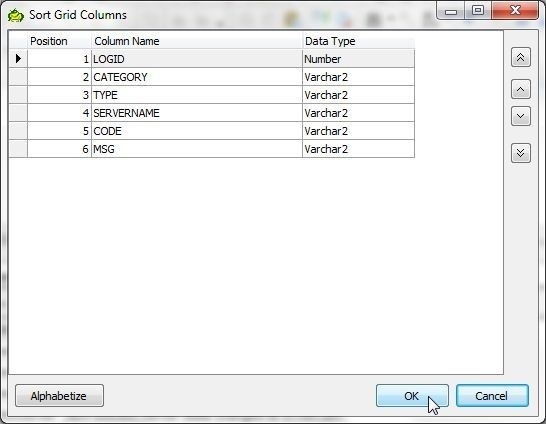 The Columns tab is selected by default, and tabs for other database objects that are defined on the table are provided. The Data tab displays the table data, as shown in Figure 9. To export dataset to one of the supported output formats click on Export dataset as shown in Figure 10. In the Export Dataset wizard select from the Export format drop-down; HTML Table is shown selected in Figure 11. Select an Output File and click on OK as shown in Figure 12. The dataset gets exported. The WLSLOG.html file exported is shown in Figure 13. 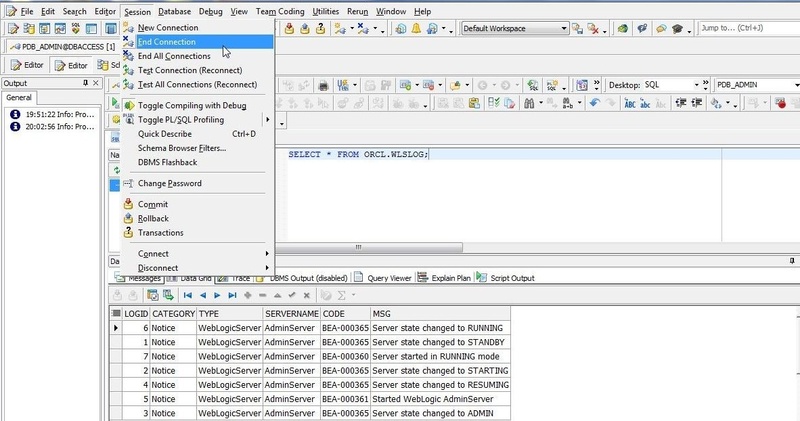 To run a SQL query specify a SQL SELECT statement in an Editor, position caret at the beginning of the SQL statement, and click on Execute/compile statement at caret as shown in Figure 14. 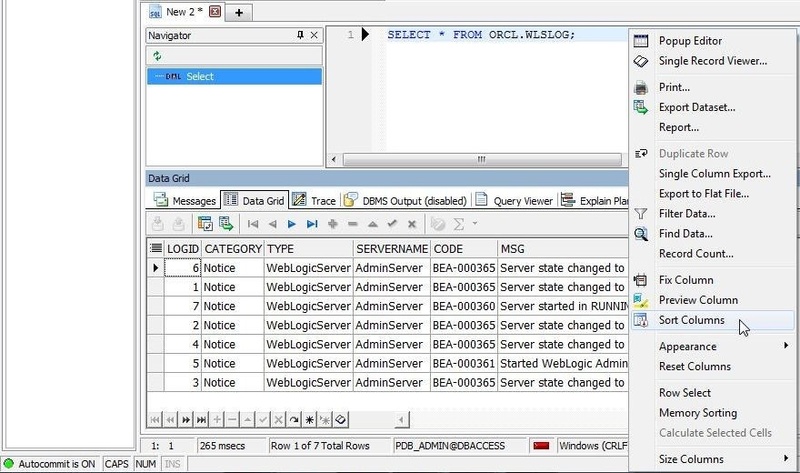 The SQL query result set shown in Data Grid gets displayed, as shown in Figure 15. Several options are provides for a Data Grid; for which, right-click on the Data Grid as shown in Figure 16. Select Sort Columns as an example. 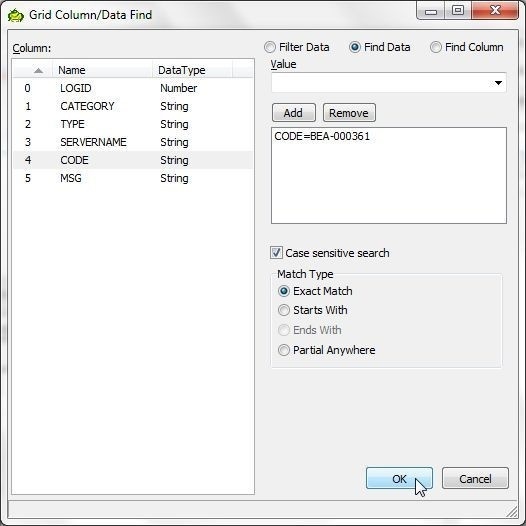 The Sort Grid Columns dialog gets displayed, as shown in Figure 17. Arrows are provided to shift a column up/down. The option (button) to Alphabetize the columns is also provided. 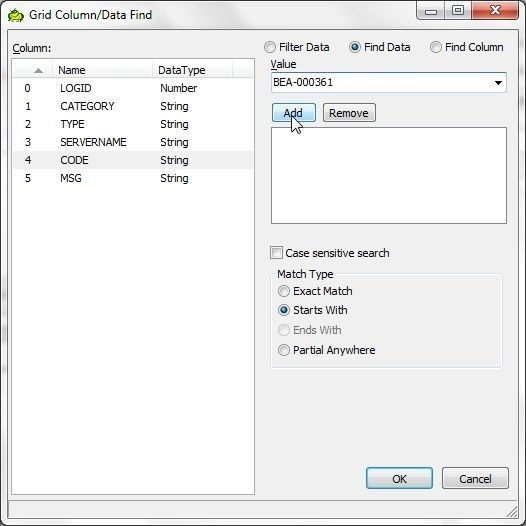 To find data select Find Data from the Data Grid options as shown in Figure 18. 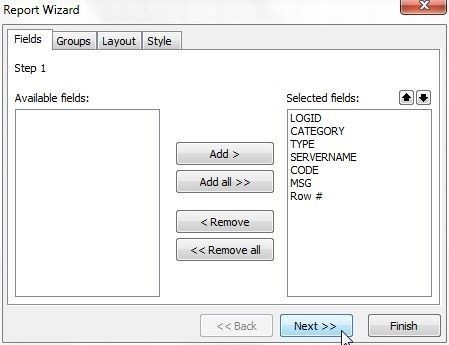 The Grid Column/Data Find wizard gets started, as shown in Figure 19. As an example, search for data with the CODE value as BEA-000361. 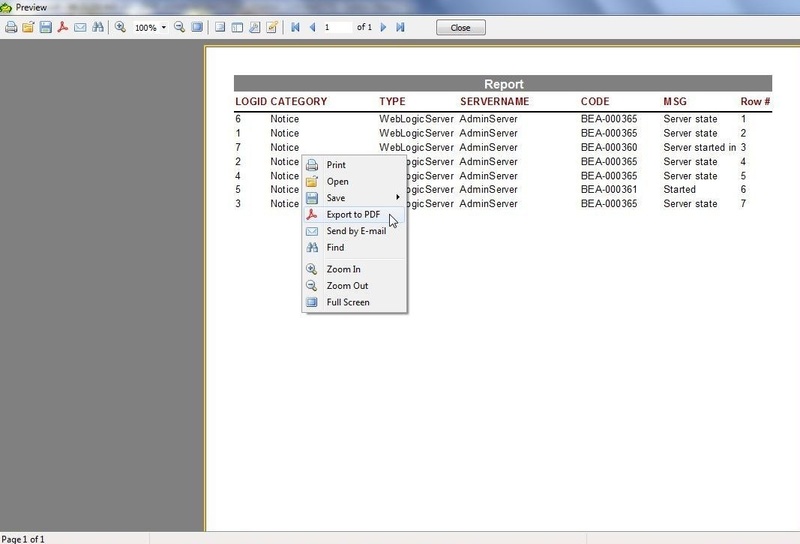 First select CODE in Columns and with the Find Data radio button selected specify Value as BEA-000361. Click on Add as shown in Figure 19. Select the option (checkbox) for Case sensitive search. For Match Type select Exact Match. Click on OK as shown in Figure 20 to find the data. The data row with the CODE column value as BEA-000361 gets selected, as indicated by the > pointer to the row shown in Figure 21. As another example, search for data with the MSG column value starting with Server started. For Find Data specify or select MSG=Server started. For Match Type select Starts with and click on OK as shown in Figure 22. The pointer gets set to the row with the data searched for, as shown in Figure 23. To export the query result set to one of the supported output formats, right-click on the Data Grid and select Export Dataset… as shown in Figure 24. The same Export Dataset wizard as before gets started; in which, select Export format as Excel File as shown in Figure 25. Select an Output File and click on OK as shown in Figure 26. The Excel File exported is shown in Figure 27. 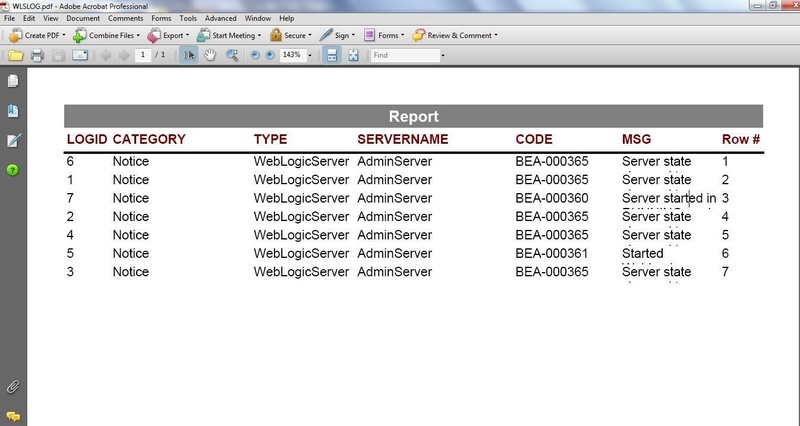 Another useful feature is to generate a report from the Data Grid. 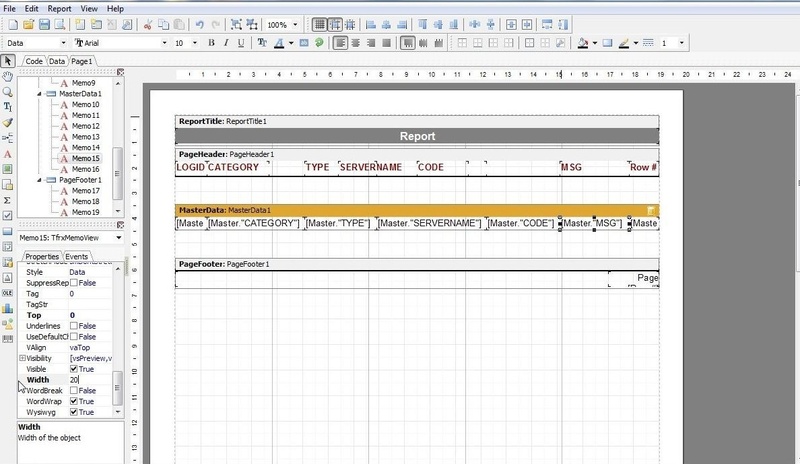 To create a report right-click in the Data Grid and select Report as shown in Figure 28. 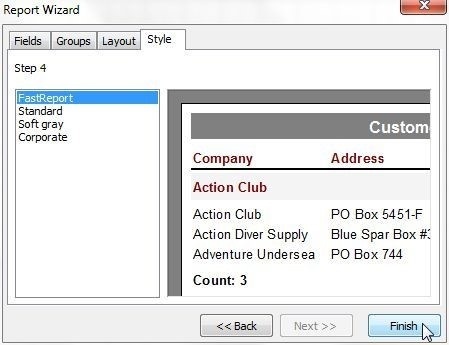 The Report Wizard gets launched, as shown in Figure 29. First, select the fields to add to the report. 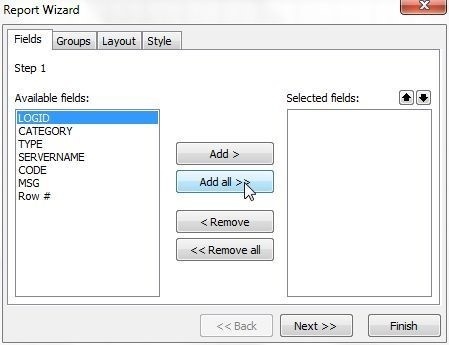 Click on Add all to add all fields. The Row # field also gets added by default. Click on Next as shown in Figure 30. Next, select Groups. By default no groups are selected, as shown in Figure 31. Click on Next>>. Next, select the Layout. 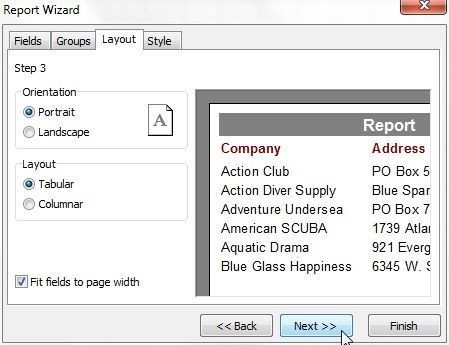 With Orientation as Portrait and Layout as Tabular and with the Fit fields to page width checkbox selected, click on Next>> as shown in Figure 32. Select from one of the Styles; Fast Report is shown selected in Figure 33. Click on Finish. The report template gets displayed, as shown in Figure 34. The report data sets may be modified by selecting Report>Data, as shown in Figure 35. 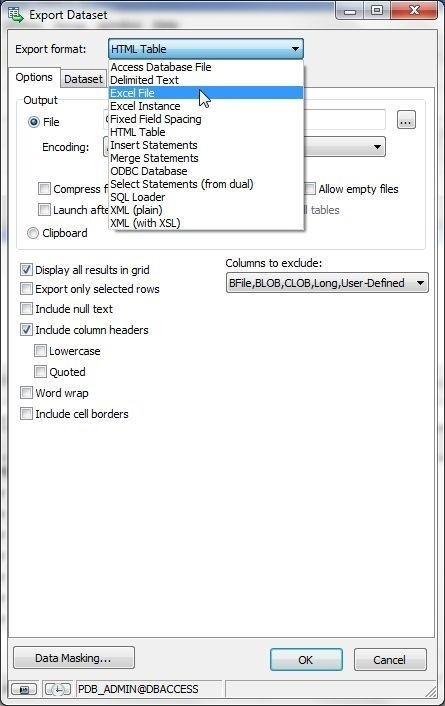 The Select Report Datasets dialog lists the datasets already selected and available as shown in Figure 36. The datasets may be modified. Click on OK.
To preview the report click on File>Preview as shown in Figure 37. 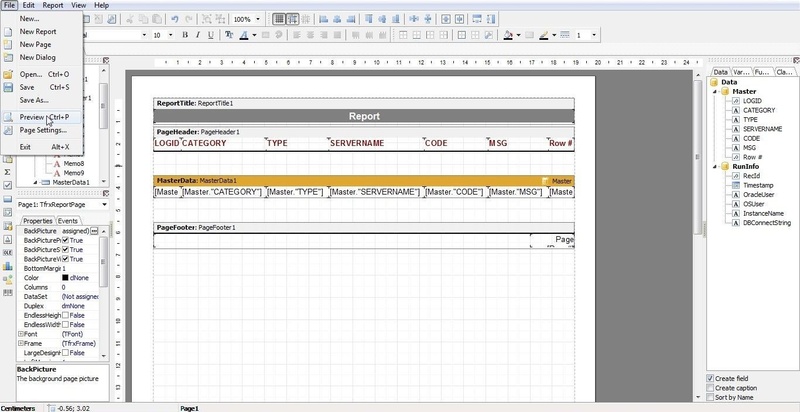 The report preview is shown in Figure 38. 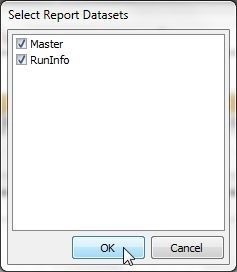 To save the report select File>Save As. 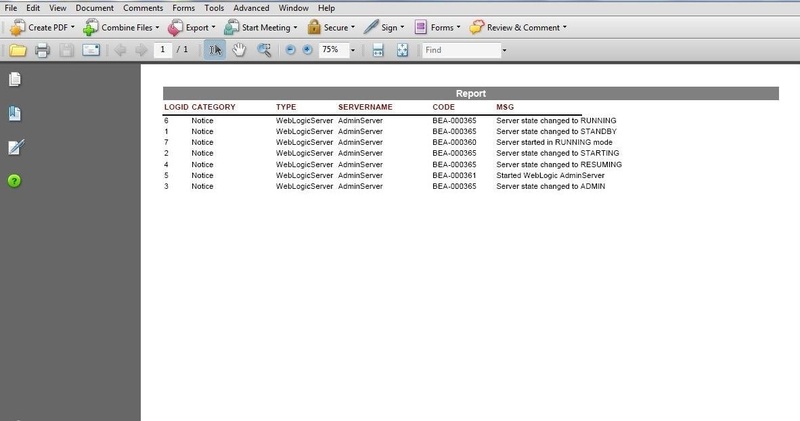 Alternatively, select Save Report in the toolbar as shown in Figure 39. The report gets saved as an .fr3 extension file. The report may be exported to PDF; for which, right-click in the Preview and select Export to PDF as shown in Figure 40. 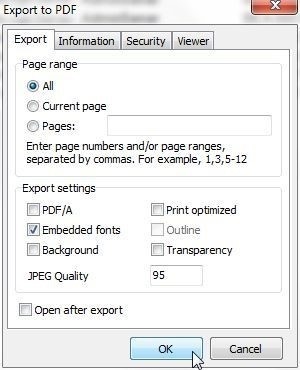 In the Export to PDF dialog select Page range as All as shown in Figure 41. With other Export settings as default click on OK. In Save as specify a File name (WLSLOG) and click on Save. The PDF file exported is shown in Figure 42. A report may need to be modified. 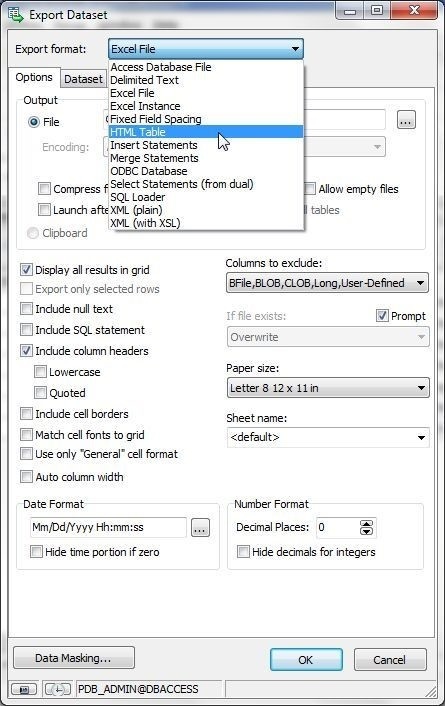 As an example, the Row# column in the report generated and shown in Figure 42 as a PDF is redundant. Also, the MSG column text is not displayed completely. 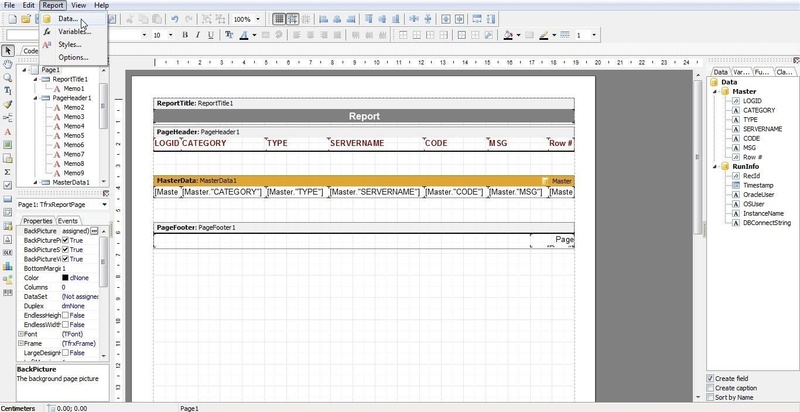 In this section we shall modify the row using the report template. To make the MSG column value display completely we shall widen the column width in HeaderData. Select Header15, which is for the MSG column, and set Width to 20 or some other suitable value, as shown in Figure 43. Next, widen the page width by setting Paper Width to 30 or some other suitable value as shown in Figure 44. 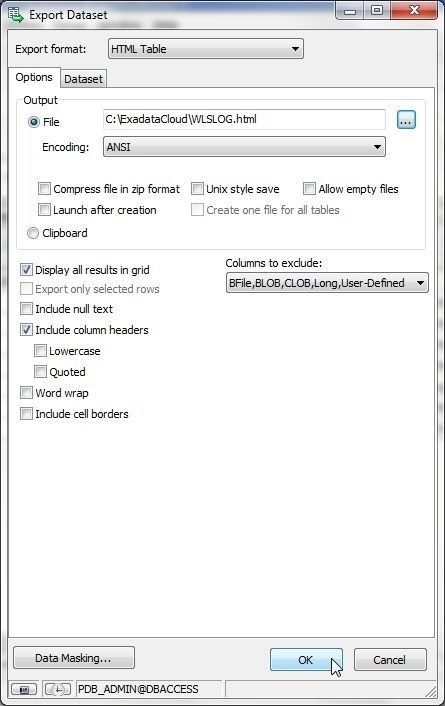 To delete the Row# column select the column in the template, and right-click on click on Delete. 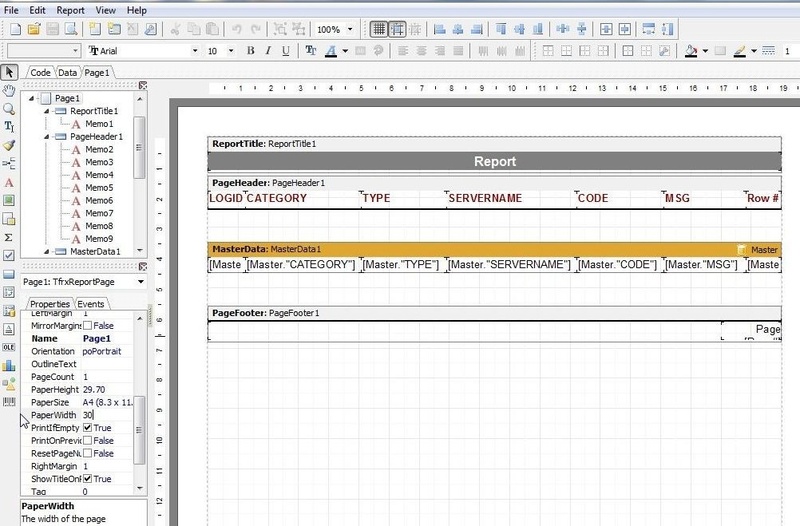 Preview the report as before, and the MSG column value is displayed completely, as shown in Figure 45. The Row# column has been deleted. 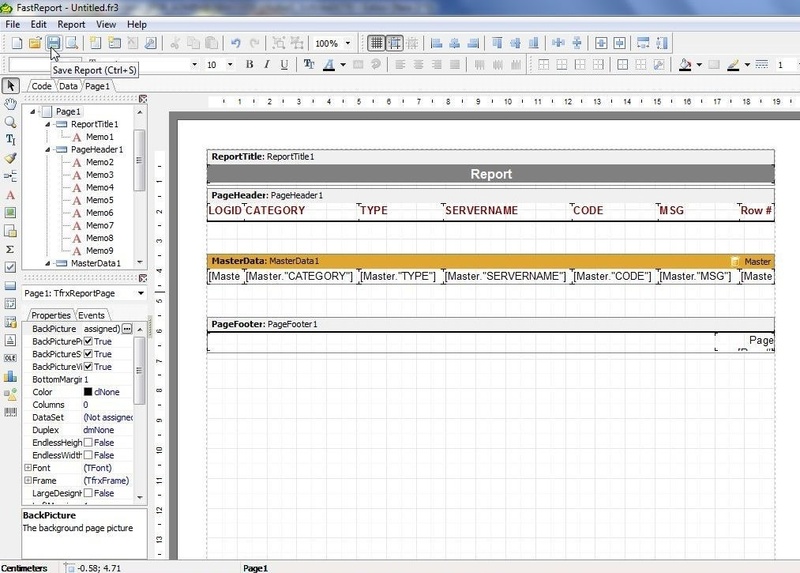 To save the report as a PDF file click on Save in the toolbar as shown in Figure 46. 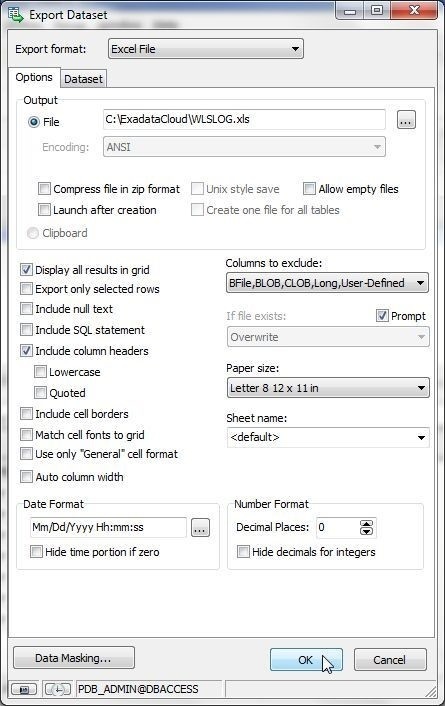 Select PDF file… from the Save drop-down as shown in Figure 47. The report in PDF format is shown in Figure 48. The connection to Oracle Database Exadata Express in Toad for Oracle may be closed by selecting Session>End Connection as shown in Figure 49. 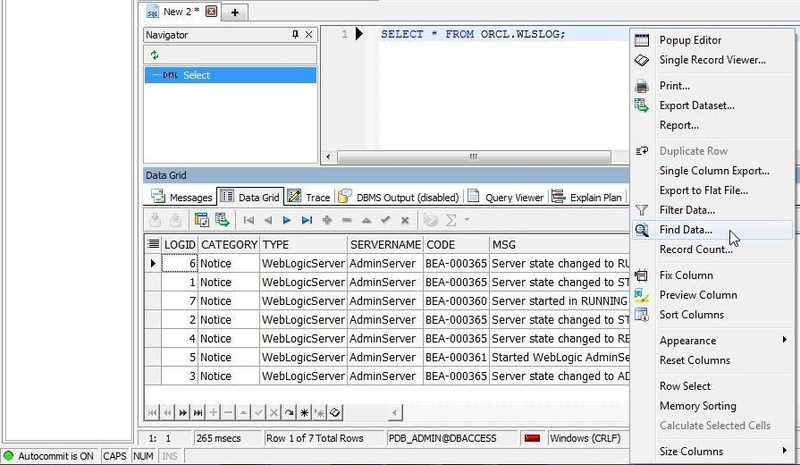 To delete the Oracle Database Exadata instance select Delete in the drop-down for the Exadata instance as shown in Figure 50. In the Delete Service Instance confirmation dialog click on Delete as shown in Figure 51. 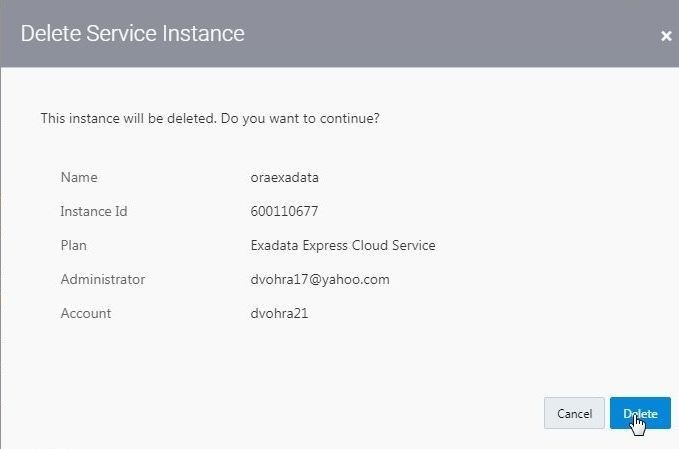 The Exadata Express instance starts to get deleted, as indicated by message shown in Figure 52. 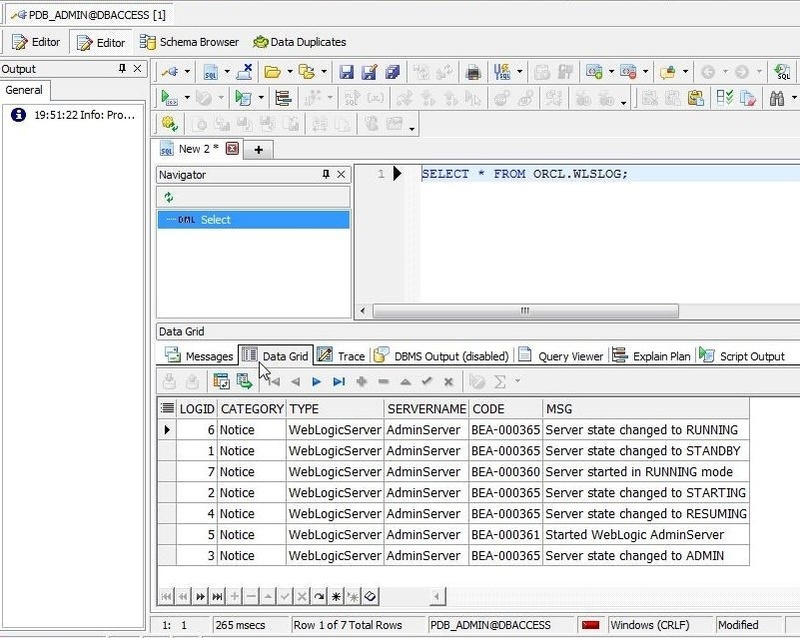 In three articles we discussed creating an Oracle Database Exadata Express instance in Oracle Cloud Platform, connecting to the instance with Toad for Oracle, and creating database tables. 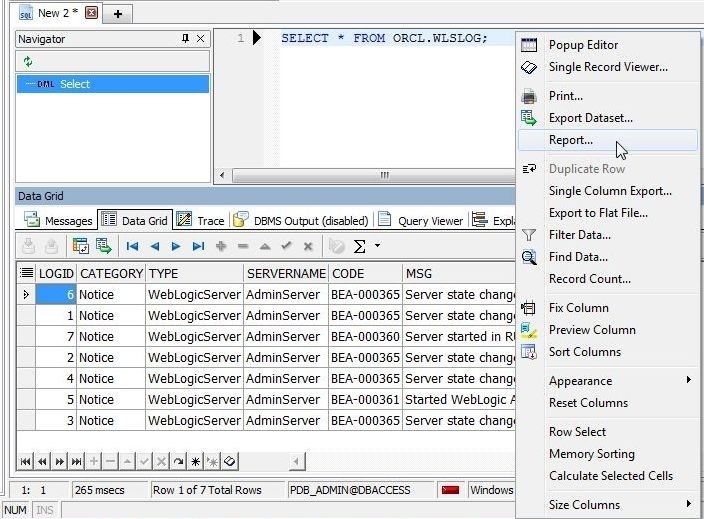 We also explored some of the other features of Toad for Oracle including comparing tables, comparing schemas, finding duplicate data, using the Schema Browser, exporting dataset to HTML Table, running a SQL Query, exporting query resultset data to Excel, finding data, and generating a report.